Super Dropshipping Solutions It’s common for online entrepreneurs to see dropshipping as the simple way to get started when it comes to building online profits. However, the truth is that it’s often more complex than you would think. It can be difficult to find suppliers, choose the right prices, and update the products on your website constantly, so you’re ready to stay ahead of your competitors. However, tools like Oberlo could change all that. While this tool isn’t a full platform for eCommerce, it’s an extension that users can access through sites built on systems like Shopify. With our Oberlo review, importing products for drop shipping should be simple, quick, and low-maintenance. 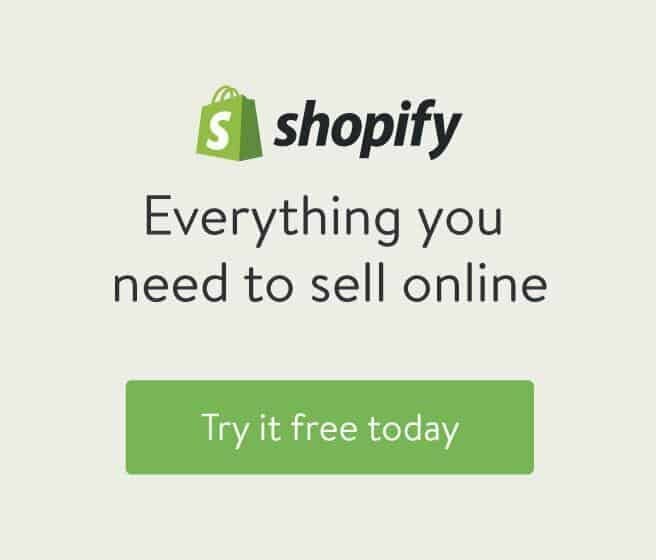 It can come pre-installed for new Shopify users too. This app comes with a range of fantastic features for users to explore. To help you determine whether this is the right drop shipping solution for you, let’s take a look at just some of the best elements to be aware of. People invest in the dropshipping model of business because they expect it to be quick and simple. Their approach to automated order fulfillment makes that wish a reality. When an order is entered into an online store, all the website owner needs to do is find the product in their inventory and hit the button to order that product from the supplier. You can also add multiple products to your cart at once. Once you’ve hit the button to start the order, everything else is handled for you by the platform. This means that they package and ship the items to your customers for you, so you can minimize costs. One of the main features of this platform is that it imports product listings directly from AliExpress. Since it’s common for dropshipping experts to use AliExpress to sell their products, this is a fantastic tool and a great way to streamline business operations. It ensures that you’ll have access to thousands of suppliers through AliExpress, and all the prices, details, and images you need are available too. The system makes searching for products on AliExpress easier than ever, then all you need to do is import the product into your online store. We haven’t mentioned in our Oberlo review yet, that your inventory is consistently managed and updated so you never have to worry about selling items that might be out of stock from your supplier. If a price drops from one end, you’ll be notified in case you need to adjust the pricing on your own website. What’s more, the interface available for managing your products is attractive and easy to use too. The dashboard comes with a crystal-clear menu that you can use to complete countless tasks, from setting featured products, to searching for new items and more. You can edit your product within a matter of clicks, and this means that you’re always keeping your customers up to date on your latest offers. Through Oberlo, you can access millions of different AliExpress products to sell to your end user. Currently, the platform is in testing with a huge range of suppliers, and there’s a separate suppliers directory for users to check out too. This is great for people who have trouble with their supplier and want to switch to someone new and reliable as quickly as possible. If you find a better supplier somewhere, one click of a button can be all it takes to switch. As any dropshipping individual will know, it’s important to have the right support for your eCommerce solution if you want to get ahead of the competition. Even though this platform isn’t a full eCommerce platform, it takes support very seriously, with a blog that provides information on platform updates, strategies, and more. The platform enabled quick to respond to messages on social media, and there’s also a large forum that you can speak with made up of people already using the system themselves. The forum is packed full of helpful people, and interesting topics on how you can build your own brand in the drop shipping world. Additionally, there’s a full knowledge base available if you’re looking to answer your own questions about this platform you can read our recent article reviewing Oberlo. If you’re not able to find an answer on any of these platforms, you can simply submit a support ticket. One of the special features that app users can gain access to is the “Oberlo Supply” feature – a fully functional marketplace that comes with automated order fulfillment solutions. Unlike existing integrations with the AliExpress network, Supply offers a range of suppliers that have been carefully hand-picked for the marketplace by their team. For those who are nervous about getting started in the drop shipping world, this solves a serious problem for finding and implementing the right supplier strategy. There’s also the opportunity to access a bulk ordering feature on Oberlo Supply which you can use to place as many as 1000 orders at any given time. This comes with speedy shipping times to delight your customers too. The starter plan is free and allows you to access setup for up to 500 products and fifty orders per month. You also get automatic order fulfillment features, daily product syncing, price automation, and a free extension for your Chrome browser. If you’re looking for something a little bigger then you can upgrade to the basic plan which costs $29.90 a month and allows you to access everything you need for up to 10,000 products and 500 orders each month. This includes everything you’d expect from the standard plan, along with shipment tracking features, and fulfillment monitoring. Finally, the pro plan comes for $79.90 a month and gives you the tools you need to support 30,000 products and unlimited orders. It’s also worth noting that there are constantly new features appearing on the pro plan, and one of them offers support for multiple sales channels at once so you can manage your eCommerce experience from one single place. Final Verdict – Could You Benefit from Oberlo for Your Store? So, you know what Oberlo entails, but how do you know if it’s the right strategy for you? In our Oberlo review we have gathered as many information possible to make your decission as simple as possible, but at the end its all on you. Essentially, anyone who runs a drop shipping company should consider implementing this platform for themselves. It doesn’t take long to set up, and honestly, it could cut your time spent on complex dropshipping tasks in half. It is also much cheaper and easier to use compared to most of the other platforms on the market. But as every other thing its your turn to decide if this is something for you. If you are interested in eCommerce and dropshipping you may check our review of eCom success academy or read the full course insights on the homepage.